On this week’s episode, we explore two galleries making an impact in Salt Lake City just before Gallery Stroll: Mod A Go Go and Guerrilla Gallery. 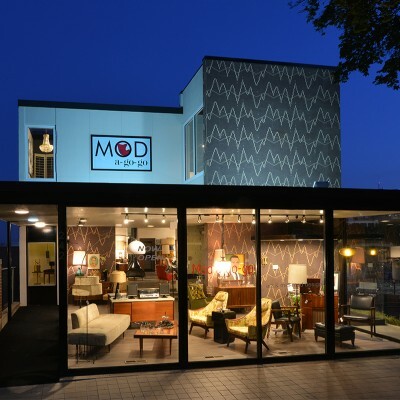 Mod A Go Go is a vintage furniture store and art gallery in Salt Lake City. Founded by Marcus Gibby and Eric Morley, Mod A Go Go features an array of furniture from the ‘50s to the ‘70s, with a focus on items for the living room, office and bedroom. Every month, the walls are used to highlight new local artists on both floors, both to participate in Gallery Stroll and to help promote new works coming out in the city. Listen as SLUG Senior Staff Writer Mariah Mellus speaks with Morley about the store and the items they carry as well as the artists they bring in each month to showcase the local art scene. Guerilla Gallery is a contemporary art exhibition in Salt Lake City. The gallery itself is a mobile exhibit, changing locations month-to-month based on available space and the nature of the artwork being displayed. It incorporates a mix of mixed media, paintings, performance and music to create a unique experience each month so that each visit to the gallery and its new location is different. Listen as we chat with the founder of Guerilla Gallery about the concept and the exhibits they have coming up.